SHANGHAI — British Airways, Lufthansa and Air Canada are among 20 carriers that now refer to Taiwan, the self-ruled island that Beijing considers its territory, as a part of China on their global websites, in line with Beijing's demands that the White House called "Orwellian nonsense," The Associated Press has found. 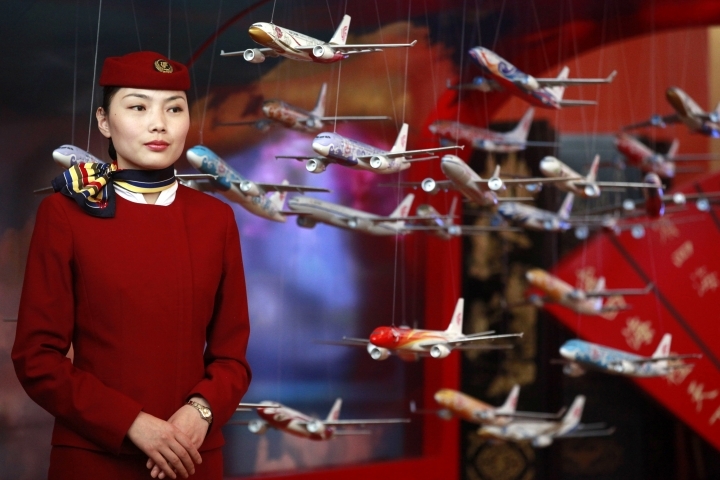 There are just three days left for dozens of foreign airlines to decide whether to comply with Beijing's orders or face consequences that could cripple their China business, including legal sanctions. Many have already sided with Beijing. Beyond fiery missives there is little Washington can do to unify a fractured global response and effectively push back against Beijing's demands. "What's at stake is that we're allowing a revisionist regime with a terrible track record on freedom of speech to dictate what we say and write in our own countries," said J. Michael Cole, a Taipei-based senior fellow with the China Policy Institute and the University of Nottingham's Taiwan studies program. "If Beijing does not encounter red lines, it can only keep asking for more." "We strongly object to China's efforts to bully, coerce, and threaten their way to achieving their political objectives," Taiwan's Ministry of Foreign Affairs said in a statement to the AP. "We call on all countries around the world to stand together to uphold the freedom of speech and freedom to do business. We also call on private firms to collectively reject China's unreasonable demands to change their designation of 'Taiwan' to 'Taiwan, China.'" Xi has warned a Taiwanese envoy that the issue of unification cannot be put off indefinitely, and the People's Liberation Army has sent fighter planes near Taiwan's coast. As China steps up efforts to isolate Taiwan diplomatically, the list of multinationals that have bent to Beijing's will is long — and growing. "You can't just say 'no,'" said Carly Ramsey, a regulatory risk specialist at Control Risks, a consultancy in Shanghai. "Increasingly, for situations like this, non-compliance is not an option if you want to do business in and with China." The day after Delta apologized for "emotional damage caused to the Chinese people," the Civil Aviation Administration of China published a notice on its website saying it requires foreign airlines operating in China to avoid referring to Taiwan, Hong Kong and Macau as countries. Some foreign carriers began changing drop-down menus on their websites from "country" to "country/region." In a strongly-worded statement 10 days later, the White House called that demand "Orwellian nonsense." "China's efforts to export its censorship and political correctness to Americans and the rest of the free world will be resisted," it said. China's Foreign Ministry hit back the next day, saying Taiwan, Hong Kong and Macau are "inalienable" parts of China's territory and foreign companies operating in China "should respect China's sovereignty and territorial integrity, abide by China's laws and respect the national sentiment of the Chinese people." "As you weigh your response options, you should know that your government stands with you, and will strongly oppose attempts by China or any other foreign government to unilaterally dictate terms to an American company and exert sovereignty over your internal business practices and the content of your website," the group of eight lawmakers said in a letter dated last week. But a growing number of airlines have heeded Beijing's call. The AP found that Air Canada, Lufthansa, British Airways, Finnair, Garuda Indonesia, Asiana Airlines, and Philippine Airlines all have changed the way they refer to Taiwan to bring their global websites in line with the Chinese Communist Party's vision. SAS airlines, Swissair, Malaysia Airlines, Cebu Pacific Air, Aeroflot, Alitalia, Austrian Airlines, Air Mauritius, Etihad Airways, Spain's Iberia, Israel's El Al, MIAT Mongolian Airlines and Russia's S7 Airlines all also refer to Taiwan as part of China, but it was not immediately clear how long they had been using that formulation. "This includes taking customs of the international clientele into consideration," Lufthansa said in a statement, adding that we "seek your understanding for the situation." 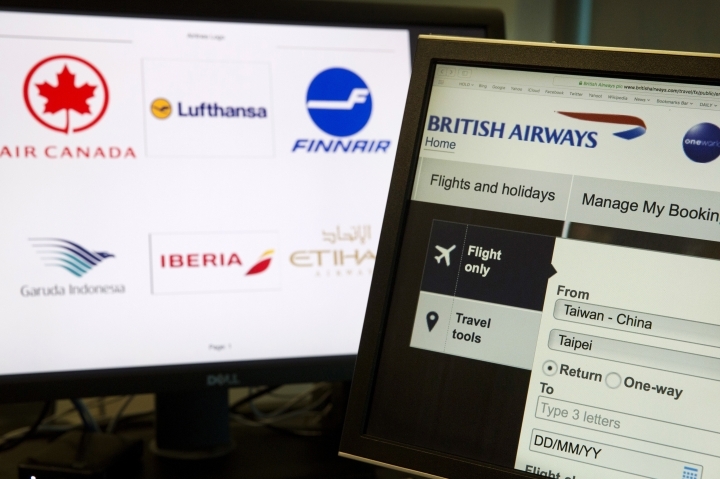 Finnair said a decision was taken to amend the website earlier this year and "in line with the general view taken in Europe, Taiwan is not shown as an independent country in our list of destinations." Major U.S. carriers have not yet caved. United Airlines, American Airlines, Delta and Hawaiian Airlines, as well as Australia's Qantas Airways — all of which received April letters from the regulator — did not refer to Taiwan as part of China on their websites as of Tuesday. But the sweep of concessions will likely make it harder to resist Beijing's call. "If they make individual corporate decisions, they will likely accede, individually but entirely, to Chinese demands," said Robert Daly, the director of the Kissinger Institute on China and the United States at the Woodrow Wilson International Center for Scholars. What Washington could do, he added, is "launch and sustain a global discussion of the implications of Beijing's insistence on the worldwide jurisdiction of Chinese law. That kind of effort would require a commitment to global leadership and strong alliances that this administration has not yet demonstrated." In one apparent exception to Beijing's rules the national flag carrier Air China seems not to have gotten the regulator's memo. On its US site, Taipei is a part of "Taiwan, China." But its Taiwan website lists it as "Taipei, Taiwan." Associated Press researchers Si Chen and Fu Ting in Shanghai contributed to this report.